Besides impressing others by being able to say, "Oh, I'm a freelance writer," or "Yes, I've been published in Family Circle," there are other reasons why pursuing a freelance writing career or even working part-time as a freelancer are good for you as a writer. Flexibility: One of the best benefits of being a freelancer is the flexibility. I'm not going to tell you it's easy--because it's not. You'll work hard, and you'll work long hours; sometimes just to get one article finished or five query letters researched and sent in. But you can generally do this work at 5:00 a.m. or 5:00 p.m.--whatever your schedule calls for. Freelancing is perfect for stay-at-home parents who have a different schedule almost every day or even writers working day jobs but hoping some time to freelance full time. I would say my favorite thing about freelancing, besides how interesting it is to write different articles and meet a wide variety of people, is the flexibility! Extra income: That's the joy of freelancing--you get paid--or at least, you are supposed to. And in real, live money--not copies and not t-shirts or other merchandise. Whether you write for small or large markets, glossy magazines or your local paper, a paycheck should accompany your hard work. It's hard for me to tell you how much you should get for your submission--until you break into the national magazines, you are probably not going to be funding your child's college education. But you could easily fund next year's Christmas purchases or that cruise vacation that you wanted to take with consistent querying of small to medium-size markets. And I always encourage my students to go for the glory--why not send in that query to O the Oprah Magazine first before you send it to a regional woman's magazine? You never know when an editor might love your idea. Your resume: If you're freelancing while you're working on your memoir, a nonfiction book proposal, or your novel, you're also building your resume or platform and collecting clips. You also probably have a bio included in several of these freelance publications, where you can list your blog, your website, your upcoming work, and so on. Any exposure you can get for your upcoming work is great. Any networking you can do while freelancing is doubly great. And finally, you are getting all types of writing and publishing experience that is invaluable during these experiences. If I haven't convinced you yet, then here's a reason I know will convince you to give freelancing a try. (smiles) You become better at TRIVIA! (Think of all the trivia nights you can attend--people will be fighting over you to be on their team.) You are bound to learn interesting tidbits of information about your community, history, sports, and so on while researching and writing articles. In other words, you are building your trivia knowledge. If you're interested, but you have no idea where to start, my freelancing class is being offered in January 2012 (starts on the 9th). It's great for anyone starting out with freelancing or who has been doing it for a while without much success. To view the syllabus and sign up, click here. This weekend provided lots of time to be thankful--Thank you, WOW! and our wonderful readers! The holiday weekend also gave me lots of time to clean up the house. It is the perfect procrastination technique and it impresses my in-laws. I don't know about you, but most of the time when I find myself in such a cleaning frenzy, it is because I'm trying to find something: missing car keys, important to-do lists, CDs, a favorite pen, the book I was just reading mere pages from the end? My oldest took a look at the flurry of activity and wondered if I was hunting for the "Island of the Blue Dolphins," which she has just been assigned in school after reading (and re-reading) it two years ago. great book for reading and writing inspiration. Alas, no "Island" in all my cleaning and so a library trip now appears on a new to-do list...another piece of paper for me to lose. I did find my teacher's copy of Telling Stories: An Anthology for Writers, which is edited by Joyce Carol Oates. Telling Stories is a superb collection of great tales, grouped in eight wonderfully named sections, such as "Dramatic Monologues," "Re-Visions: Reappropriations," and "Genre: Horror." Her introduction will hasten many readers to stop reading, to drop the book, to run get a notebook and pen, to start to tell a story. 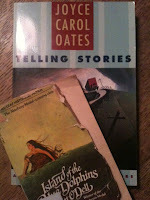 In fact, she begs that we tell our stories because we all have a strong instinct to be storytellers. "Every book, every story, every sentence we read is a part of our preparation for our own writing, so it's wise to choose our reading carefully, as an athlete trains carefully, as a musician practices at his or her instrument for hours and for years in pursuit of excellence, of fully realizing a talent." Again, many thanks to our fantastic readers. Thank you for reading...now, go grab a pen and paper and start telling your stories. 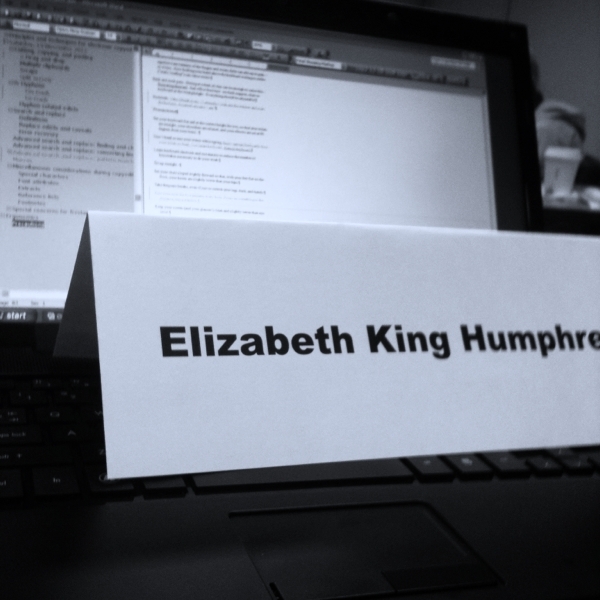 Elizabeth King Humphrey is a North Carolina-based writer and editor. Follow her on Twitter @Eliz_Humphrey as she documents her reading of the short stories she missed reading in Telling Stories. I know goal-setting blog posts and articles are published around the New Year, so I considered saving this post until then. I decided, however, to post it now. Because setting goals only for the New Year is silly. It’s never too early (or too late) to set goals and to start achieving them. One of the many lessons I learned as a competitive swimmer is how to set a goal. Goals need to be both measurable and achievable. You also need to re-evaluate your goals after a certain interval, or after you’ve achieved them. These are clear goals. After a few weeks you can look back on your writing habits and determine whether you have indeed written for 20 minutes three times per week, or on December 31, 2011 you can see whether or not you have completed a full short story. Goals should also be achievable. It’s easy to get overeager or overconfident when you set goals. Believe me, I know. I think, if I set really challenging goals, I will achieve more. This is a good idea in theory but it usually ends up backfiring – I set my goals too high, I don’t reach them, and I end up feeling guilty or lazy. Start with small goals. “I will complete one full short story by December 31, 2011” might be a small, simple goal for some of you, however, if you have never written a full short story before, and you are anticipating a houseful of guests for several days over the holidays, that goal might be too challenging. You might need to push back the deadline. And that’s ok. Work with your schedule. Keep working towards a goal to stay motivated. It’s easy to slack off and “forget” to write or “not have time” to write if you don’t know what you’re trying to achieve. What are your writing goals? Are they measurable and achievable? Writers are in constant need for inspiration. Many of us still come to a point when the mind seems blank and we cannot put anything into words. Lack of inspiration, writer’s block, or hitting a wall are just a few words that describe this blank state of mind. But as a writer, you should take a proactive stand in finding inspiration to write. You can always engage in habits that can spark your creativity and bring good ideas to write about. I would like to share 2 things that have helped a lot in my writing. These are of knowing my creative moment and writing down my dreams. Know your creative moment. In a day, there are many times when we can get into a creative moment. Moments of inspiration may differ in each person. Most people find great inspiration in the early mornings, as the sun slowly rises in the horizon with the birds chirping in the background. Others are stimulated by the view of a majestic sunset; while some uncover their best ideas late at night, when everything is peaceful and the stars shine down from the velvet sky. These are all good moments that help you find your muse. 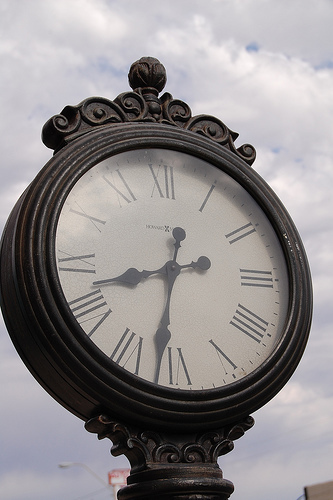 The important thing is to identify which of these times you are most inspired. For me, early mornings work best for my writing and I have gotten into a daily habit of writing during my best creative moment. With all my senses working at its best, I am able to discover wonderful ideas that can be turned into beautiful words. I don’t always find my creativity every single day of my creative moment but developing it into a habit certainly gets those creative juices flowing for the next day. Write down your dreams. It is not fully known how dreams are made of; scientists and researchers continue to argue and wonder how the unconscious mind makes up these reveries that are often vague and incomplete. Experts say that dreams can be both products of our conscious and subconscious minds; they can spring from life’s realities or one’s deepest fantasies. Whatever dreams are made of, they can be wonderful sources of inspiration in writing stories or essays. I keep a dream journal in my bedside. And when I wake up after a good or even bad dream, I write it down as much as I can remember. Dreams can be easily forgotten even while still asleep and some details may become blurred already by the time I wake up, but just writing what I can recall paves the way for great ideas and writing discoveries. I don’t try to interpret my dream as soon as I’m awake; I just write the vivid parts down so that I can get back to it when I am looking for some inspiration or I am in my creative moment. What about you? What leads you to a creative writing discovery? 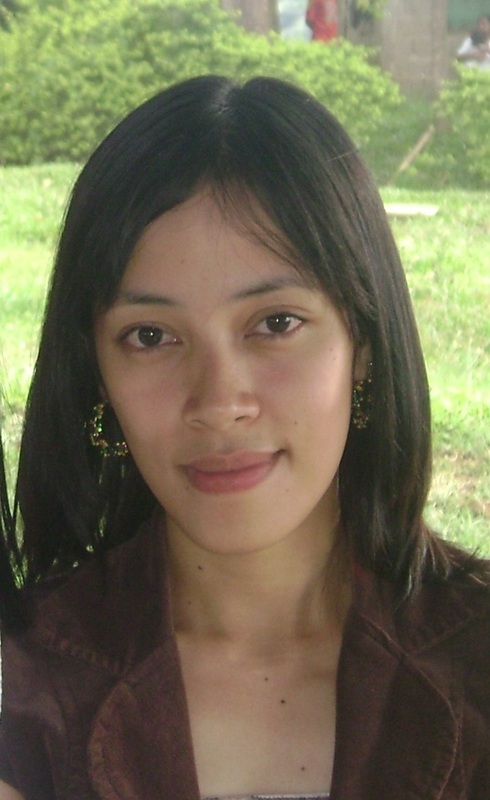 Shyxter Tagapulot is a Filipino writer and internet marketer. She has written travel, do-it-yourself, parenting, and other general information articles since 2009. Shyxter is now a site author at http://www.musesland.com/– a website meant to inspire writers and help them explore their creativity, with over 170 ways leading to the path of creative discovery. When I think about the holidays, I’m reminded of the good things: roasted turkey shared with family and friends; singing carols around a roaring fireplace; the intoxicating smell of Christmas trees; attending The Nutcracker ballet; making dolls and ornaments (a tradition of mine); and the surprised look on my loved ones’ faces as they open their gifts. Ah, the wonderful reflections on the holiday season. You may be feeling that today, on Thanksgiving, because hopefully you are reading this after you’ve finished cooking and have time to relax! We all feel better after we’ve accomplished something, right? Blerg! (As Tina Fey would say) But the reality is, the holidays always add extra pressure to my life, both personally and professionally. Like many women, I tend to do more cooking, entertaining, shopping, and visiting with in-laws (don't get me started on that one). That leaves less time for writing, deadlines, projects, and making money (at a time when I need it the most!). It can be downright stressful. 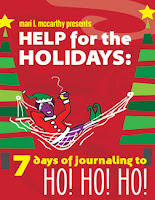 So when I received a copy of Mari McCarthy’s new eWorkbook, Help for the Holidays: 7 Days of Journaling to Ho! Ho! Ho!, it was a welcome invitation to spend time on myself and do a little attitude adjusting. What a breath of fresh air! I was having a spell of writer’s block before I started this journaling experiment, but Day 1 in Mari’s eWorkbook allowed me to write the first sentence of this post. She asks you to list your favorite things about the holidays, as well as the ones that cause you the most stress or sadness or frustration. At the end of the chapter, she guides you to write a short story describing your perfect holiday season. This is where I had the most fun! I wrote like no one was reading; I indulged in everything I ever wanted. In my story, it actually snowed in Long Beach, California, and I was wearing a brand new pair of Louboutin boots. While those two things didn’t make for the most realistic scenario, the other things in my story were quite attainable. Things like spending quality time with family and friends, and going to holiday events. I read the story to my husband and he thought it was pretty attainable as well, and (surprisingly) it put him in the holiday spirit! We are making it a point of rekindling the holiday activities we’ve enjoyed in the past and turning them into a holiday tradition. The best part about this eWorkbook is it works as your personal coach. Yes, you have to do the work yourself—an important part of journaling and self-discovery—but Mari guides you through the process with specific examples and exercises. And, it’s not too intensive. 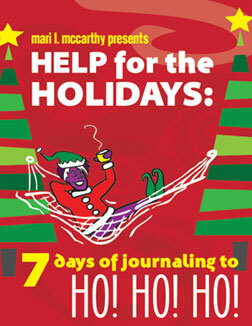 Help for the Holidays: 7 Days of Journaling to Ho! Ho! Ho! is a 26-page workbook that you can complete in seven days. It’s like taking a class! Currently priced at $8.97, you also receive access to a private forum where you can ask Mari questions and get inspiration from like-minded journalers. - Day 2 covers Family Dynamics. Boy, this really breaks it down! If you follow the directions, you will figure out who tries your patience the most, what topics create conflict, and more. You will create a “sanity list” you can refer to when you need it. - Day 3 covers Stress! You will examine your stress triggers and make a plan to work through them. - Day 4 focuses on Money Matters. This is one of the biggest stressors of the holiday season. This day tackles this problem in a unique an interesting way, including writing a letter to Santa! When was the last time you did that? You will channel your Inner Child and find your own solution to ease your money worries. - Day 5 is about Coping with Loss. This is particularly important to me. The holidays have always been tough since I lost my mother, and for many of my early years, I wasn’t able to deal with the holidays at all because of this. Sometimes it just doesn’t feel right to celebrate when you don’t have your loved one with you. This exercise will get you through it and help you find the support you need within yourself. - Day 6 focuses on The Winter Blues. You know the feeling...when it’s rainy, snowy, windy, or freezing...and you know something isn’t right? 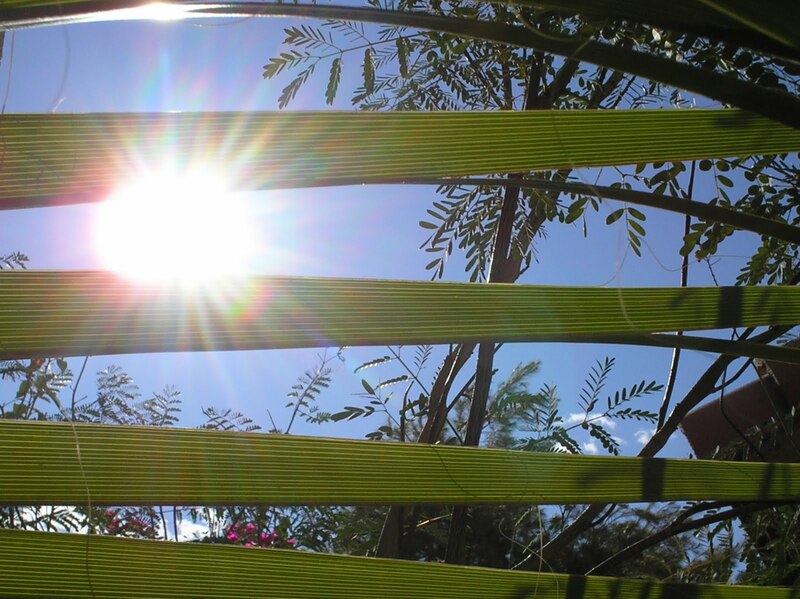 This day deals with the seasonal depression that many people experience during the winter months. Figure out how to cure it with these intensive exercises. - Day 7 focuses on Healthy Habits, and our waistline! Oh yes, the delicious indulgences...the ones that you vow to make up for in the New Year. These set of journaling exercises examine the bad habits you want to avoid and help you come up with a plan to achieve a healthy balance. Throughout the eWorkbook there are also tips in each chapter about “Focusing on Your Gifts,” that include helpful tidbits of inspiration and ideas from the little purple elf pictured on the cover. As you know, we’ve worked with journaling specialist Mari McCarthy and her website, CreateWriteNow.com, in many capacities—whether through blog tours, e-mail promotions, articles for WOW!, including Journaling for Health, Healing, and Happiness—but I volunteered to write this review after I started doing the exercises because I felt that it changed my entire outlook on the holiday season. Like I mentioned earlier, I’m still working through the exercises, but I feel liberated! Doing these exercises has helped me appreciate so many aspects of my life. It’s helped me reenergize, de-stress, and recharge my writing! Today, I feel thankful to be a writer. When you purchase Help for the Holidays! 7Days of Journaling to Ho! Ho! Ho! (for only $8.97!) you also receive access to a private forum where you can ask Mari questions and share ideas with other journalers as you go through the exercises. I know this is last minute, but if you purchase before Black Friday (tomorrow) you'll also be entered to win a cute t-shirt. Recently, I had a Twitter conversation with one of our followers and she asked how she could get more involved with WOW! I'm asked this question by several of my WOW! online students also; and so I thought I'd take a little time today to highlight some of the ways you can interact and connect with other WOW! fans, readers, and team members. 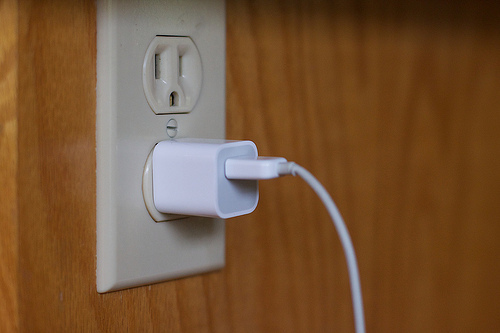 You want to stay connected! Newsletter: We have a free newsletter when a new issue comes out and periodic e-mail blasts about special opportunities for WOW! subscribers. To sign up, go to our home page at http://www.wow-womenonwriting.com . On the top right-hand side, you will see a box that says, "Sign up for our free newsletter." If you were already signed up, you would have been notified about our new issue, our special offers from our sponsors, and what we are looking for from freelancers this week! 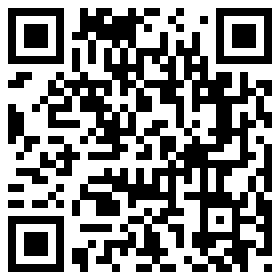 Facebook: Like us on Facebook! We allow fans to post information about their blogs, books, or businesses once a week. We let you know about all our new classes. We respond to questions on what type of submissions we are looking for and when contest notifications go out. Our Facebook page is a great place to ask us questions and let us know what YOU are up to with your writing. You can also meet other women writers here for networking and support. Anytime we have a special offer or new blog tour with a book giveaway--we post it here. Twitter: We have two Twitter accounts you can follow--our general one at http://www.twitter.com/womenonwriting or one specifically for WOW! blog tours at http://www.twitter.com/WOWblogtour On both, we interact with followers; on our general account, we tweet links to helpful articles and contests as well as updates to our class lists and the freelance job board. We point out our sponsors whom we have checked out, and we encourage writers through the hashtags #amwriting and #nanowrimo. Our WOW! blog tour account lets readers know where our authors are appearing and when people can win a prize or learn important information. Finally, don't forget about our quarterly flash fiction contest, judged in the final round by a literary agent, or the WOW! classroom, where the 2012 classes are now listed--there are some new ones to check out. And if you are freelancer, we are accepting queries (send them quick!) for our January/February issue--it's an open theme, but anything about beginning a new year, editing NaNoWriMo, getting organized, and so on is surely welcome. Check out our archives to see what type of articles we've had in past Januaries! As we go into the holiday season, it's easy to forget about your writing and yourself. So, make sure you stay connected--at least a few minutes each day. post by Margo L. Dill; Margo is teaching online classes through WOW! 's classroom in 2012. 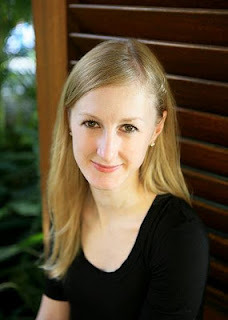 Her class listings include blogging, social networking, freelance writing, middle grade novels, and writing for children. Go to the classroom for more information! If you're a writer, you should be using social media platforms to promote your work. The same is true for journalists and non-fiction authors. These social media outlets allow writers from all genres and platforms to promote articles and publications, connect with readers, and find sources. But journalists may want to reconsider simply retweeting a message. Early this month, The Associated Press issued revised social media guidelines for journalists employed by the wire service. Included is a new section covering retweeting messages without context. After reading the new guidelines, I started thinking about what types of tweets I retweet and how it could affect my freelance career. I primarily write for a regional newspaper (sometimes my articles go out on the wire service but I am NOT an AP employee), a regional sports website, and WOW! Women on Writing. Is it possible that something I retweet could push away a potential employer? Is there a chance that a retweet could be taken as an endorsement, especially if I don't clarify my view by simply hitting the retweet icon? Using the first two publications I generally write for as examples, I thought of several times when a tweet - or even a retweet - did or could potentially cause problems. In September, I covered a meeting about a controversial pipeline project slated to cut through the Nebraska Sandhills that has stirred an international debate. During the meeting, I sent several tweets highlighting key points from each speaker. I also prefaced the first tweet by saying I was reporting live from the event. About half-way through the two-hour meeting, I began receiving replies from supporters of the project, complaining that I should not be tweeting from the meeting. Why not? I wasn't offering my opinion. I was relaying information directly from the presenters, the same information that would appear in my newspaper article. I also write for a regional sports website and am Twitter friends with several of the athletes of the team we cover. Occasionally, I'll retweet an athlete's messages. Why? Because it contains pertinent information or because it's from the athlete's point of view and the typical fan-in-the-stands may not understand the complexity of the sport and its competitions. Could a retweet cause repercussions? It's possible. It's an interesting dynamic for those of us who write for the daily presses and online publications, and it's not limited to reporters hired by the AP. Their rules of social media engagement are practical for any writer, whether a novice stringer trying to break into a publication or the seasoned writer who has built a brand around a book series or newspaper career. Since the guidelines came out three weeks ago, I have paid more attention to my own Twitter messages and Facebook posts, as well as to what I choose to retweet. While a fine line exists between personal and professional posts, all writers should take all precautions to keep their writing reputation - in addition to the outlets they write for - safe from unexpected backlash. And you can retweet me as saying that. by LuAnn Schindler. Read more of LuAnn's work, including her weekly newspaper column, at her website. With Thanksgiving just days away many of us will be moved to contemplate what we are thankful for this year. The lists will be as varied and unique as fingerprints. I remember seeing an unusual list in a Kindergarten classroom that included "playing basketball" and "M&Ms." Family, whether it be blood relatives, friends who become family, or even the four-legged version, often top lists of "Things to Be Thankful For." At WOW! we found it fitting that we are starting Thanksgiving week with the tales of patients, families, and medical professionals telling how thankful they were for a pet during a time of hospice care. Like any family member, these furry (and feathery) family members brought comfort, joy, happy memories and even laughter with them. Hospice Tails is made up of fourteen stories about pets and the role they played in a hospice patient's care. Meet King, an abused pit bull fiercely loyal to his rescuer, Jasper and Jackie, Amazon parrots who sang their person to his final sleep, Washington, a golden retriever who became the only connection to the world for an Alzheimer's patient, and ten other animals who accompanied their beloved people on the hospice journey. Hospice Tails: The Animal Companions Who Journey with Hospice Patients and their Families is available for purchase in both print and e-book format at Amazon and Barnes & Noble. Book Giveaway Contest: If you would like to win a copy of Hospice Tails, please leave a comment at the end of this post to be entered in the random drawing. The giveaway contest closes this Thursday, November 24 at 11:59 PM PST. For an extra entry, link to this post on Twitter with the hashtag #HospiceTails, then come back and leave us a link to your tweet. We will announce the winner in the comments section of this post on the following day Friday, November 25. Good luck! In addition to her parents and two sister, Debra's family includes four cats. The current crew includes a grouchy nine-year-old named Achilles; and orange tabby and alpha male named, appropriately enough, Alexander; and a black and white long-haired cat with attitude named Leroux. Then there's the foster cat named Pumpkin. Of course, it all started with a three-month-old brown-and-gray tabby named Calypso who had strong feelings about most people. And not warm fuzzy feelings. Calypso even had the dubious honor of being banned by not one, but two vets. When not caring for cats or writing, Debra spent many years as a social worker. She worked with AIDS patients, emergency room patients, and those with Alzheimer's. Her final years as a social worker were spent with hospice patients. Although some would view that as a depressing job, Debra chose to view herself as a catalyst helping people make their final hopes and dreams come true. Sometimes it was making up with a family member after a decades long feud or leaving behind the stress of the office to reconnect with another aspect of their personality. Debra took a clue from her patients and recently decided her writing--for years a part-time career--couldn't wait any longer. Worried she would become one of those people who would one day say, "I wish I had..." she handed in her resignation and is now living her dream as a full time writer. WOW: For most of your adult life you were a social worker who wrote "on the side." What made you put writing "on the front burner"? Debra: Several years ago, a friend of mine came down with pneumonia and died very unexpectedly. She had always said she was going to quit her day job and work on paintings full time “someday.” This year, I realized that I am now one year older than my friend was when she died. I decided to stop putting off my writing until “someday” and get busy now! WOW: Did you have a plan when you went from social worker to writer? Did you save up a nest egg, get a certain amount of writing clients/income first, leave the door open to go back to your original career? Debra: I had been running a freelance writing business on the side for more than ten years, so I had several faithful clients I knew I could count on for income. Also, there wasn’t any conflict with my employer, so there was no question of me burning any bridges. I know I can go back to my social work career full or part time if it becomes necessary. I didn’t have a nest egg, and that’s one thing I wish I had done differently. WOW: What was the scariest thing about saying goodbye to your career? The best thing? Do you miss anything about having a 9 to 5 career? Debra: The scariest thing was saying goodbye to my steady paycheck. I’m actually making a little more as a writer than I was as a social worker, but it comes in spurts...nothing for a week, and then two or three clients pay up all at once. It makes managing money much harder. The best thing is that I can set my own schedule. This afternoon, for instance, I didn’t feel well so I took a two-hour nap. When I woke up, I was feeling great again, and I’ll make up the time by working later. That’s something you can’t do when you’re working for someone else. WOW: I think many of us have supportive friends and family but they might not be fully supportive if we decided to quit a regularly paying job for a job with a more...unpredictable, shall we say...payment plan. How did your family and friends feel about the leap? Any advice for getting family and friends to understand this big change? WOW: What was the first big job you tackled? Debra: Actually, the first big project I tackled was a novel that I wrote in college. It was absolutely terrible, and it will never see the light of day, but writing it was good experience. The second major project was my young adult novel, Visiting Grandma, which was published in 2003 and tackled the issue of child abuse. Hospice Tails was my third major writing project. I love animals, and I loved working with hospice patients. I used to tell my family and friends stories about the “hospice pets” I encountered while I was working. Believe it or not, most of the stories were funny. Anyway, my family and friends kept encouraging me to write those stories down so I didn’t forget them. I finally took their advice, and Hospice Tails was born. WOW: You're here at WOW! to launch your blog tour for Hospice Tails but as a writer you don't only write books. Could you tell us about some of your other streams of income and why you decided to branch out into so many different types of writing? Does having so many streams make your life easier or more hectic? Any other new types of writing you plan to tackle? Debra: I’m the type of person who needs a lot of variety to avoid getting bored or complacent (neither state is conducive to good writing). I just finished ghost-writing my second book on home health care. I do a lot of SEO/keyword writing for blogs and websites, I write articles on health, mental health, relationships, time-management, small businesses, personal finance, real estate...you name it, I’ve probably written about it at one time or another. I also do a lot of editing for students and for first-time fiction writers. Around the holidays, I make some money by helping people write those yearly family updates we all love to hate. Finally, I’m working on a couple of short e-books to sell on Kindle. Having so many irons in the fire does make my life challenging at times, but mostly I enjoy it. I’ve always said I’d rather have way too much to do than way too little. Debra: I’m on Day 21 of National Novel Writing Month (NaNoWriMo). The challenge is to write a 50,000 word novel in thirty days. It doesn’t have to be a good novel, All that matters is that you type of write 50,000 words by November 30. This is my first year trying it. The novel is about the ghost of Anne Boleyn’s brother, George, so I’ve spent October reading everything I could get my hands on about the Boleyn family, ghosts, and the Tower of London. Great fun. WOW: Well, don't forget to stop by on December 1 and tell us what your final word count was! Debra Stang, author of Hospice Tails, addresses that problem every writer faces with "Only 24 Hours in a Day? Making Time for Writing." Learn the importance of using humor in your writing and enter to win a copy of Hospice Tails, a book where author Debra Stang used humor to balance out the sadness. We all take care of someone. Debra Stang, writer and former social worker, reminds us about who we should be taking care of first. You can also enjoy a review and enter a giveaway for her book Hospice Tails. That furball of yours is more than just an alternate alarm clock...find out the health benefits of Owning a pet. You can also enter to win a copy of Hospice Tails. Enjoy family gatherings today and learn about a book that tells the stories of another type of family members: the pets that share our lives. 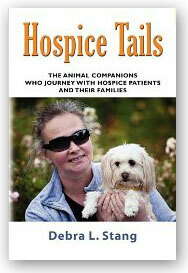 Don't miss this review of Hospice Tails by Debra Stang. Meet author Debra Stang up close and personal in her podcast plus enter to win Hospice Tails, her book about animals and their contribution to the lives of their sick owners. Have you ever tried to tell the stories closest to your heart? Author Debra Stang shares her experience. Return tomorrow for a review of her touching book Hospice Tails. Don't miss a review of the book that will have you crying, laughing and sighing all in one chapter. Hospice Tails by Debra Stang. Learn everything you always wanted to know about author Debra Stang in an interview at Selling Books. 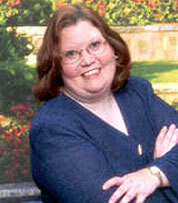 Stop by for an interview with author Debra Stang and a review of her book Hospice Tails. Stop by for a review of Debra Stang's book Hospice Tails and the opportunity to ask her questions about hospice and the value of animals to patients, their families, and medical professionals. Take time out from your gift buying frenzy for a gift just for you! LAST CHANCE to win Hospice Tails, a touching story of loving pets by Debra Stang. 1. For your first entry, just leave a comment on this post! Leave a comment or ask Debra a question to be entered in a random drawing. 2. For an extra entry, link to this post on Twitter with the hashtag #HospiceTails, then come back and leave us a link to your tweet. The giveaway closes this Thursday, November 24th at 11:59 PM, PST. We will announce the winner in the comments section of this post the following day--Friday, November 25th, and if we have the winner's email address from the comments section, we will also notify the winner via email. Good luck! This weekend I completed my fifth of five classes to complete the University of Chicago certification for editing. For years I have edited manuscripts and articles. Throughout the process (and especially as I was getting ramped up to take my first class in Chicago), I’ve had to explain to people why I would take the time (and money!) to complete the classes…especially since I have editing experience. Here are a few of the reasons I sought certification, which may help you decide if you should pursue more education for your writing or editing. 2. Learning Style. I recognize that I learn better when I have someone directing my lessons. Interestingly, if I teach someone, I find that often directs my learning. But I’m not someone who can sit down and start at the beginning of the Chicago Manual of Style (or The Associated Press Stylebook) and read it straight through. Some editors I’ve met are self-taught that way. I take my hat off to them. 3. Against Procrastination. Editing is something I’ve wanted to learn for many years. Following a sequence of classes ensured that I would have fewer reasons for procrastination and more reasons for getting it done. 4. Networking…and friendships. In the classes, I joined a network of others who also veer to the “word nerd” balance. These other editors are my resources and friends I can discuss freelance projects with. We are able to discuss our classes, as well as best practices. Most of my classmates have specialized niches, which helped me narrow my own niche. Also, the camaraderie has been great. I’ll miss seeing my new friends, but will plan on keeping in touch with them. 5. Skills. My skill level has skyrocketed and made me more productive. While the tips and tricks I knew were a great starting point, I have learned a wealth of information since I started my journey in the certification. What are some of the reasons you might use to justify “going back to school?" Instead of taking classes, what are some of the ways you keep up with your writing skills? Elizabeth King Humphrey is a writer and editor living in coastal North Carolina. Follow her @Eliz_Humphrey. My second thought is, “I can completely relate.” I’ve been saying “I don’t have any time to write” as the deadline for the final copy of my 200+ page dissertation fast approaches, and I barely have a 100 page first draft. Am I this far behind because I honestly didn’t have time to write? As I prodded further into my students’ reading and writing habits over the past week, one of the students, who said she didn’t have time to write, admitted that she did sit down to write, but didn’t write anything good, so she stopped. It’s not that I don’t have time to write it, even if I do have three jobs, two grad classes, and a less-than-one-year-old puppy dividing my time. It’s not that I don’t want to write it. I really, really do want to write it. Of course it’s not very good! It’s only a first draft! This is where revisions come in handy. But it’s hard to take solace in the power of revisions when you’re struggling to get the initial thoughts down. Believe me, I know. And after I’ve put off writing anything for days at a time, it’s even harder to start writing again. Just like going to the gym – if I put it off for too many days in a row, I'm less likely to want to go again because I know how much it will hurt. So for the past few days, I’ve been giving myself a warm-up before doing a full-on exercise with my dissertation. I’ve opened up my journal – yes, the one sitting in my drawer neglected for the past five months – and did some freewriting, wrote down anything that popped into my head. This warmed up my arm physically, and it warmed up my brain, and then it was much less painful to type out a few more pages of my dissertation. I never knew freewriting could wield such power. Did you? I recently heard an author say that if you don’t have enough time to read then you don’t have enough time to write. More than anything this made me feel better about all the hours I spent with my nose in a book instead of at the computer, hands posed over the keyboard. Several years ago I had the first draft of my first manuscript and was invited to a reading at a literary agent’s home by a friend. I was a little nervous about going because I wasn’t quite ready to share the manuscript but the reading was amazing. It was a first time novelist and she read and then took questions at the end. Someone asked about the writing process and she confided that just before publication her publisher asked for major rewrites and additions and she was—of course—on a very tight schedule. She said her way of dealing with the pressure was to go to a secluded spot with only her computer and some Shakespeare. When she felt completely stumped she said she’d read Shakespeare until she fell asleep and then, without fail, when she awoke she was able to continue down a line or begin a new one. When I first started training as a creative writer I was heavily influenced by the texts I read: Joan Didion and James Frey in particular. My own writing would take on their cadence, the beat of their voice. Because of this I wrote for a long time without being able to read during the creation of text. I wrote my memoir, Lost Edens, without any books at my side. Now, though, I’ve started to embrace what I heard that author say recently: if you don’t have enough time to read then you don’t have enough time to write. I read voraciously in a wide variety of genres. If I’m overly concerned that I might be susceptible to another writer’s rhythm like I was early on, then I read a romance novel or academic articles. The trick is just to read (something, anything!). Understanding the craft of writing and understanding what is possible can only be done if you’re immersed in the outcome. I read that Stephenie Meyer had a soundtrack of sorts that got her through the creation of the Twilight series. The music helped to inspire her. I think my next book will definitely have not a soundtrack, but a shelf of books that got me through the bumps in the road. Jamie Patterson is a 33 year old writer, teacher, runner, and dog owner who spent most of her twenties trying to please everyone she encountered and help everyone she met. She has a Master’s degree in Language and Literature. A former spokesperson for the American Red Cross and the Girl Scouts, Jamie is now a frequent flier based in Minneapolis, and an academic editor with Walden University. Lost Edens is her first book. Visit and Blog with Jamie and and join her fans on Facebook. I’ve written several articles on the subject of being a ‘Writing Mom’. I’ve talked about getting organized, writing around life, how to find the time to get that writing in and more. The one thing I don’t think I haven’t written enough about is what to do when you finally get that writing time, only to draw a blank. I mean, how frustrating is that? And it actually happens to me more often than I admit. My close writing friends tease me relentlessly because I always have several projects on the go at the same time. For me this is like my ‘glove save’ in that I’ll never run completely dry when I have something else to turn to if the mind is blank on a project at hand. But even with having different wells to dip into, I can still draw a blank when it comes to finding topics for blog posts or quick articles. One reference tool I have for such times is my “Writing Mama List” which is my ongoing list of topics about being a writing mama. A few months ago, I shared a few blogging ideas for when you run out of ideas. Today, I’m going to give a few ideas for my fellow Write-At-Home-Mommys because let’s face it: we have an endless topic supply just in raising our kids, don’t we? The key is making it entertaining enough for anyone to want to read your article. 2) Review a game you played with your family, including all the antics. 3) Review a book you read, including the dialogue among everyone reading/listening. 4) Pick a craft to do with your kids and write about it. 5) Talk about something frustrating one of your kids did and finding the humor in that. 7) Discuss a serious issue going on in your family and what you’ve/your kids have learned about it. 8) Join with other writing mamas for a blog hop. 9) Interview a fellow writing mama. 10) Start an every day life sentence and have your followers complete it, using a real life experience/situation. 11) Interview/review a beloved kids’ celebrity or author. 12) Have a Mama Giveaway where you gather up some self-spoiling items as a prize. 13) Write about/give kudos to another writing mama. 15) Share a helpful link geared to writing mamas. 16) Share a great writing tool that has helped you in your WAHM success! 18) Do a cooking project with your kids and write about it. 19) Write about a moment that touched your heart. 20) Write a holiday post – traditions, decorations, things you and your kids do, etc. 21) Take pictures of your kids doing an activity and use the scenario to inspire a fiction story. 22) Share some tips on taking 'Me Time'. 23) Share some tips on how to keep your kids busy while you're trying to write/conduct an interview/finish a chapter, etc. 24) Do some 'Must Have' lists--be creative! 25) Bring up a problem you're having and inquire for fellow writing mommys to brainstorm ideas. 26) Are you a mommy of special needs kids? Share some insight on that. 27) Share some couple advice. 29) Write about grandparents - the importance of the relationship, what they mean to your kids, how they help/support your Writing Mommy endeavors, etc. 30) Make your own list of top Writing Ideas for Writing Mommys. That should be enough to get you started. If you are a fellow Writing Mommy, feel free to share your own ideas! We'd love to hear them. Like most people, my days have a tiring sense of sameness. I get up at 6:30 am, make lunches, yell for kids to get dressed and get on the bus, fire up the computer at 7:30 am, emails, queries, drafting, editing, blogging until the kids show up at 2:35 pm, homework, signing endless school permission forms, laundry, supper, reading, maybe a bit of TV, bed. And around it goes. 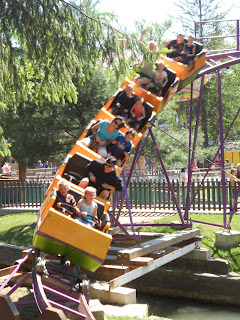 I like my life but it is not exactly a roller coaster ride. Who's life is? The difference between me and everyone else is I'm attempting to create characters that people like (or hate) so much they want to read their stories. Emotions, quirky habits, humor...can you get all the ideas you need to create that from a weekly trip to the grocery store and daily discussions with the dogs (my writing partners)? So this summer I began "collecting experiences." It all began with the car accident. It was a one car, nobody hurt accident. But it was definitely something I had never experienced before. 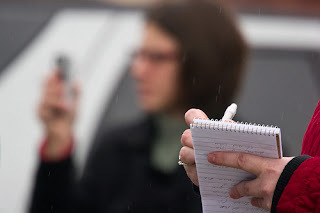 Although I am not normally a journaler, that night I wrote about the accident. Not a short story or essay but more of a record of my emotions, impressions, and memories. Just so I wouldn't forget in case I ever wanted to use it. BTW, two of my characters were recently in a car accident. Coincidence? Now, I'm not encouraging anyone to smash up their car (insurance agents worldwide are heaving a sigh of relief) but that was the beginning of my attempts to collect experiences. Next week I'm recording one of my essays to be played on NPR. I've never worked in radio or performed in any venue...probably since the fifth grade Christmas program! I kayaked. I rode a roller coaster in the dark (I rarely get on them in daylight!). I have definitely not enjoyed all my out of the box experiences. But I've recorded all these experiences in case my characters ever need them. What was the anticipation like? What did I feel during the experience...physically, emotionally, spiritually? How was everyone else acting? What did they say? Were there any unusual sounds, smells, sights? Would I do it again? Why do people like (or not like...in the case of the car accident) this? Forget about losing ten pounds or putting all the family photos in albums. This year I think every writer's new year's resolution should be to collect new experiences. I know this topic comes up a lot for busy parents, writers with other day jobs, and people who just have a lot on their plate, whether it's taking care of a sick parent or volunteering for a cause they believe in. Plus there's housework, lawn work, grocery shopping, and everything in between. We've had writers address this time issue in several different posts, and I even suggested the 80-20 equation a while back, where a writer spends 80 percent of their time on the writing that makes her money and 20 percent on the creative writing, such as the next Great American Novel. But alas, the topic is on my mind again today; and it's my turn to blog, so here we are. I currently have a one-year-old daughter with an ear infection, teething, and a low-grade fever. I have a poor, old Basset Hound who the vet says has two months to live. I have various commitments this week helping a friend with her business, and of course, the holidays loom ever closer. There's always a lot to do anyway, and I manage it all and all my writing when everything goes smoothly. But stick a sick child and dog and extra appointments, and everyone is overwhelmed and tired! But writing has to get done. Deadlines are coming, and so are bills. So in the last hour or two, I've come up with a couple solutions. Prioritize: Instead of what I want to get done, I ask myself: What has to get done tonight? By Wednesday? By Friday? Then I prioritize those projects and save things like editing my novel for the weekend when hopefully my daughter is feeling better and I have more help. Ask for help: Who at home or in your family can help you and with what? I've learned that even one thing off my plate like my mom giving my daughter lunch can really help me find an extra hour in the day, and that's good for both of them, too. Sleep and eat anyway: The first two areas we tend to cut out when life gets in the way are sleeping and eating. This actually does NOT give you more time because you are then just fighting fatigue and hunger all day instead of concentrating on your work! I'll make it through this stressful time. I always do. But if you have more tips, please let me know! post by Margo L. Dill; Margo's Social Networking for Writers class starts tomorrow 11/16. You can still sign up here: http://www.wow-womenonwriting.com/WOWclasses.html. We've all heard the saying "The straw that broke the camel's back." What's your straw? The event that would cause you to straighten up and say, "That is IT! I am going to change my entire life!" For Catherine "Cat" Larose that straw was a Paris sunset full of amazing colors...in stark contrast to her usual life that was, well...colorless. Her memoir, Any Color But Beige: Living Life in Color, chronicles her journey from her colorful childhood to the predictability and security of a beige suburban marriage to the major life changes that she initiates in her quest to live life in color. Any Color But Beige is a tale of metamorphosis, international travel, and romance as exciting and enthralling as any novel. With the New Year and its accompanying resolutions is right around the corner, Any Color But Beige is the ideal inspiration for readers who want to shake up their lives to celebrate 2012. You can enjoy the book trailer for Any Color But Beige (also shown below) and a video of Cat wandering the colorful streets of her hometown and celebrating her book's release with friends. Any Color But Beige: Living Life in Color is available at Amazon in print or as an e-book for Kindle. BOOK GIVEAWAY CONTEST: If you would like to win a copy of Any Color But Beige, please leave a comment at the end of this post to be entered in a random drawing. The giveaway contests closes this Thursday, November 17 at 11:59 PM, PST. For an extra entry, link to this post on Twitter with the hashtag #NoBeige, then come back and leave us a link to your tweet. We will announce the winner in the comments section of this post on the following day, Friday, November 18. BOOK CLUB CONTEST: Cat is also sponsoring a Color-tastic Book Club Contest so you can share Any Color But Beige with your favorite book club! Visit any participating blog before Friday, December 16 and leave a comment on the Any Color But Beige Blog Tour post with the words "Book Club Contest" in the message. If you win, your book club will win 10 copies of Any Color But Beige, a virtual visit from Cat at your next book club meeting, and several other surprises. Don't miss this fabulous giveaway! Catherine is one part hot blooded Latin and one part wild eyed Celt. She's the oldest of seven children raised in a large Irish/Italian family--Catholic, of course. But family and friends think of her as the gypsy. She's spent her life studying, living, and working all over the place. Cat is forever destined to wander. Blessing or curse? Grandma V. had her pegged long before she ever left her hometown of Cleveland, Ohio when she gave her red-headed Italian granddaughter this advice, "All you need is a place to hang your hat." When she isn't writing, Cat sells color for a living. What does that mean? When you go to a home improvement store and choose a paint color, those little color chips are made by the company Cat works for. They produce color chips for the automotive industry, cosmetic industry, and of course your local Home Depot. It was while she was on a business trip to Paris that Cat decided to add a little color to her life. WOW: Hi Cat! Welcome to The Muffin. Please tell us how Any Color But Beige began. CAT: I was in Italy and I'd had my heart broken by a friend turned lover. Because we shared a space for a while post-breakup, I spent as much time as possible in a cafe. I began to write to clear my head and heal my heart. I initially ended up with a bittersweet essay entitled "Ain't No Such Thing as a Hollywood Ending." It was a bit negative but it reflected my mood at the time. WOW: Well, we're all allowed a little negativity after a relationship. But what made you realize that "Ain't No Such Thing as a Hollywood Ending" wasn't just an essay, it was the beginning of a book? CAT: That came about organically. I didn't set out to write a book. I showed my essay around and it seemed to resonate with the people who read it, both men and women--after all, heartbreak is universal. One friend asked if this was the beginning of a book. She planted a seed that took root but grew gradually. I got into the habit of writing and before I knew it I had 200 pages. WOW: The habit of writing! I think that's something we all strive toward. How long did it take you to complete those 200 pages? CAT: The first draft took five months and doesn't resemble the book at all. I wrote every night from 7:00 to 11:00 pm, I took some vacation days to have long writing weekends and I wrote when I traveled. Jet lag is a wonderful thing if you can make it work for you. I'd be wide awake in a hotel room in London at 2:00 am and so I would use the time to write. My day job is pretty demanding so I use every spare second. I eased off a bit with the second draft, which took a year. My friends saw me a bit more often. I write to instrumental movie soundtracks--my favorite composer is the great Ennio Morricone. Any Color But Beige (much more positive title, don't you think?) was born while listening to Cinema Paradiso and The Mission. WOW: Did you ever worry about how friends and family might be less than thrilled about their portrayal, and how did you deal with those worries? CAT: Yes, but there's nothing I can do about it. I was careful to change identities and distinguishing characteristics as much as possible. Since it's my story I asked myself--"So what's the alternative?" and the answer was an even worse scenario, i.e. not telling my story. That was not an option. WOW: While reading Any Color But Beige I was struck by how much your memoir reads like a novel. Did you consciously write it with that voice in mind? CAT: No. I actually write like I speak. So many of my friends who know these stories paid me the compliment of saying, "I could hear your voice when I was reading the book." I have a great ear for dialogue. I believe in telling a good story not just a resume of names, dates, and events. WOW: Did you feel you were influenced by any other writers, memoirists or novelists? CAT: Yes, and it's a list a mile long: poets, playwrights, novelists, historians. I'm constantly writing down quotes, dog earing pages or going crazy with the highlighter. So many books, so little time; that's the problem with writing: it cuts into my reading time. WOW: Do you have any advice for us? CAT: I can't say this enough, if you're serious: Get an editor, Get an editor, and Get an editor. There are lots of good people out there. I have an amazing editor I'd be happy to recommend. CAT: A book similar to Any Color But Beige: Living Life in Color but using other people's colorful stories. WOW: We can't wait. Because if there's anything to be learned from your memoir it's that we can never have too much color in our life! (Shown above) Any Color But Beige (Book Launch) from Marrone Video on Vimeo. Is it time to recreate yourself? Cat Larose tells how she began life with a fresh slate and gives away a copy of her memoir Any Color But Beige: Living Life with Color. Cat Larose is giving away tips on speaking or "Dear God, Please Don't Make Me Sound Stupid" as well as a copy of her memoir. Andi, who had misadventures all over the world, reviews Any Color But Beige--a memoir full of traveling. Return tomorrow for more fun! Inspired by Cat Larose's globetrotting? Your next trip will be great if you follow Cat's recommendations for the five things everyone should have int heir suitcase. Also enter to win Any Color But Beige to read on your next trip! Learn everything you wanted to know about Cat Larose, author of Any Color But Beige. Learn from Cat Larose, a world-wide traveler, how to explore new destinations with Five Things to See or Do in a New Place. Cat is also giving away a copy of her memoir Any Color But Beige: Living Life with Color. Meet color-guru Cat Larose in living color during her podcast plus enter to win her memoir Any Color But Beige. 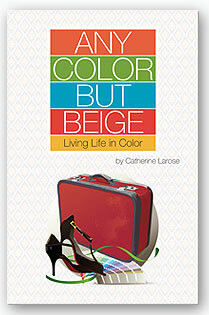 Don't miss the "5Ws with Cat Larose" mini-interview today as well as a review of her memoir Any Color But Beige. Cat Larose, the Queen of Color, stops by with a quiz about how colorful your life is. Learn something about yourself and enter to win Cat's memoir about travel, romance, and yes--color! In the mood for a surprise? 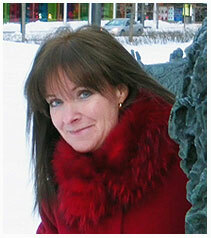 Stop by when Cat Larose guests posts at Me and Reading--a blog coming to us all the way from Estonia! Cat will also be giving away a copy of her memoir Any Color But Beige. Now we finally know why you haven't finished your novel! Your walls are the wrong color! Color-guru Cat Larose shares the ideal colors for your writing space and gives away a copy of her colorful memoir Any Color But Beige. Don't miss your chance to also enter her Color-tastic Contest for Book Clubs! Learn more about yourself and color with a fun quiz from color guru Cat Larose. You can also enter to win a copy of Cat's memoir about embracing a colorful life: Any Color But Beige. Are you brave enough to bare all? Your soul that is...to write memoir! Cat Larose writes about baring all and gives away a copy of her memoir Any Color But Beige. Stop by to learn more about Cat Larose, the colorful author of Any Color But Beige. You can also win a copy of her memoir and be inspired to make your life more colorful! LAST CHANCE to win a copy of Cat Larose's memoir Any Color But Beige, the perfect book to give you a new attitude for a new year. Cat will also be sharing her ideas on why travel can help improve your writing skills. 1. For your first entry, just leave a comment on this post! Leave a comment or ask Cat a question to be entered in the random drawing. 2. For an extra entry, link to this post on Twitter with the hashtag #NoBeige, then come back and leave us a link to your tweet. The giveaway contest closes this Thursday, November 17th, at 11:59 pm, PST. We will announce the winner in the comments section of this post the following day--Friday, November 18th, and if we have the winner's email address from the comments section, we will also notify the winner via email. Good luck! PS. Remember, if you mention "Book Club Contest" in the comments section of any of the blog stops on this tour your book club will be entered in Cat's Color-tastic Book Club Contest and have a chance to win 10 copies of Any Color But Beige and a virtual appearance from Cat!